The 2015 Volvo XC60 plays in a populated field of small luxury SUVs. This year, it's armed with an all-new engine family known as Drive-E, adding to its distinctive styling and Volvo's well-earned reputation for safety. Safe SUV. Has adaptive cruise control, so it will automatically slow your car if it comes upon a slower moving car. 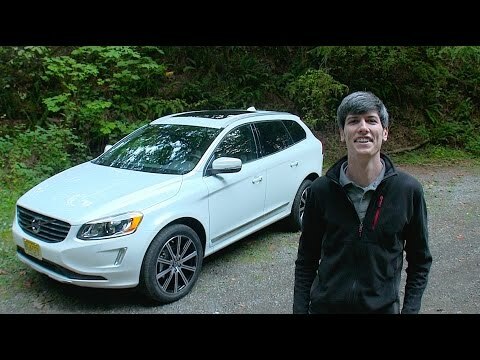 I love my Volvo XC60. I have heated seats in both front and back seats. And, I never knew I would need it, but a heated steering wheel! I like how i fit in my car, because I have short legs and in most SUVs I feel like I'm on top of the steering wheel, making it dangerous for me if the airbag was to be deployed. Keyless entry, navigation system and Sirius XM stereo. Volvo’s make the best cars. I love my Volvo, this is the second Volvo I have had and it will take a lot to make me buy another make. It is super reliable, drives very smooth (I get compliments all the time), and has great space for both passengers and cargo. It does take more gas than a car, but the SUV feels safer and has a ton more room. Very technologically advanced as well. Great small SUV with sleek interior and exterior, solid and reliable, good buy. Very high quality interior, solidly built, sleek design inside and out, roomy cargo area, back seat legroom is not great but sufficient, the automatic safety features (such as braking and engine cutting off at lights the restarting when you go) can be annoying at times, the settings (radio, satellite, etc. ) Are not very user friendly at all.